In the six events contested tonight at the Southeast Asia Games, six new Games Records were set including two by Singaporean swim star Joseph Schooling. The 2015 Southeast Asia Games keep charging along in Singapore, and we’ve got race videos from the fourth day of action. In addition to Joseph Schooling’s golds, 18-year old Singaporean Zheng Wen Quah also had an impressive meet on Monday. Swimming at the 2015 Southeast Asian Games, a multi-sport event held every two years, kicked off day 1 on Saturday, and the first medal session went about as expected for a region that through big-time funding and big new coaches has seen a rise to some prominence since the 2012 Olympic games. The first four finals of the day all saw new SEA Games Records, and despite no swims yet from the meet’s biggest star (Joseph Schooling of Singapore), the country of Vietnam, as a whole, will come out of the day like roses. That’s because they already took three gold medals to lead the tallies, including a brutal double from their biggest star Thi Anh Nguyen, who won both the women’s 800 free and the women’s 400 IM, with races that started precisely 48 minutes apart. First, she swam to a new Meet Record in the 800 free, with an 8:34.35. That broke the old Meet Record of 8:35.41 set by Singapore’s Lynette Lim in 2009, a suit-aided swim, as well as her own Vietnamese National Record of 8:40.75. Less than an hour later, Nguyen once again blew the field away in the women’s 400 IM and swam a 4:42.88 for victory. That again was a new Meet Record, breaking her swim from prelims (4:43.93), and before that her 4:46.16 from the 2013 edition of the meet. 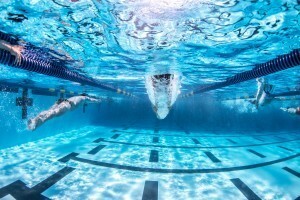 The 18-year old Nguyen trains in the United States at the Saint Augustine Swim Club for a combination of Frank Holleman and her Vietnamese coach Dang Anh Tua. In three swims so far at this meet, she has three Meet Records. Meet Records were also broken in the first two men’s events of the day, though those races were slightly more contested than Nguyen’s average 13-second margin of victory. Her Vietnamese teammates Quy Phuoc Hoang won the men’s 200 free in 1:48.96 – another Meet Record. Zheng Wen Quah from Singapore took silver in 1:49.17, and the top two both cleared the 1:49.22 done by Daniel Henry Bego in 2009 for Malaysia. Hoang took a big lead early in the race, charging out to a 52.3 on his front-half swim, but Quah fought back late to close the gap to just a few tenths. The 18-year old Quah is one of the most versatile young talents in Asia, and this fourth career Southeast Asian Games medal (he won the 400 IM in 2011 when he was only 15) came in an entirely different event than the first three. Shortly after his silver in the 200 free, he came back to win gold in the men’s 100 backstroke – the first for Singapore of the meet. That’s another unique event for him, and he set a new Meet Record in 54.51. That broke the 55.59 done in 2011 by Indonesia’s I Gede Siman Sudartawa. This year, Sudartawa took 2nd in 55.60 – just .01 short of the old record himself. Vietnam’s Duy Khoi Tran placed 3rd in 56.31. He’s now won SEA Games or Asian Youth Games medals in 7 unique events (200 free, 50 back, 100 back, 200 back, 200 fly, 200 IM, 400 IM). The records all came early in this meet, and Thailand picked up their first medal when Radomyos Matjur won the men’s 200 breaststroke in 2:14.83. That’s the fourth-straight SEA Games title for Thailand in this event as they’ve become the region’s dominant breaststroking country. In the near future, Singapore will hope to chip away at that stranglehold. Their new national team head coach Sergio Lopez is a former Olympic medalist in the 200 breaststroke, and they’ve just brought in top American breaststroker Kevin Cordes to train at their National Training Center. The early returns seem to already be paying dividends, as Singapore took both silver and bronze in the 200 breaststroke, with Lionel Yin marking 2:16.66 and Christopher Cheong touching in 2:16.99. Both swimmers were easily under Yin’s three-year-old National Record. The day closed with the women’s 400 free relay final, and with only four teams competing, Singapore emerged on top in 3:46.60. were anchored by Ting Wen Quah in 55.99, which puts her in gold medal contention in the individual 100 free later in the meet. Thailand took 2nd in 3:49.62 and Indonesia was 3rd in 3:53.18. 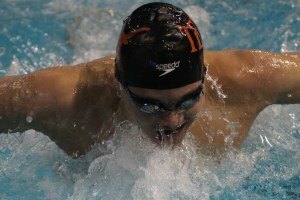 Joseph Schooling will begin his racing on Sunday in the men’s 100 free, though he’s just the 3rd seed. Click on the linked numbers to see each of a country’s medalists. As expected, Nguyen DESTROYS the field. Girl is seriously good. Quah Zheng Wen slashed significant PBs in both his events and really very versatile. His 100 Back just missed A qualifying for Olympics. Personally as a Singaporean, the womens’ relay exorcised demons of 2013. As a far of good swimmers who come from unexpected places, I’d love to see Nguyen make a couple of finals in Rio next year.